This is a result of doing a 2D scan with multiple projections in 360º. Once the scan is finished we proceed with the reconstruction of the piece to analyze all the internal discontinuities. It’s a technique in which the origins go back to 1970 with the research of the human brain and nowadays it’s an essential part of R&D for the companies which are specialized in railways, automotive and aeronautic manufacturing and so on. 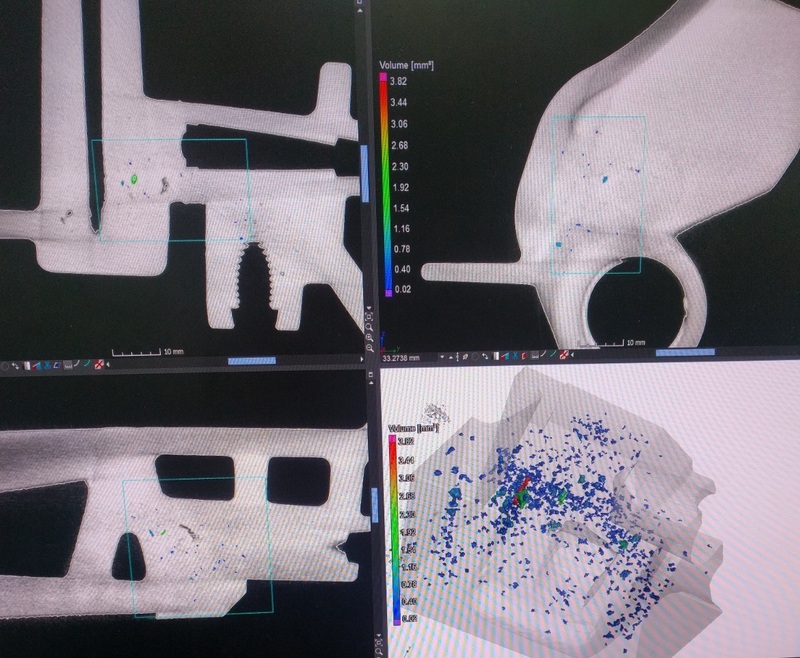 This non-destructive analysis can be used, among other things, to quantify, measure and locate the internal defects without damaging the piece. Since the beginning of 2018, Condals group takes pride in its most powerful CT with a 450kv which gives additional service.